I've mentioned a couple of times here that we have booked a trip to Disneyland Paris with my family for Halloween. Sam and I decided to tag a couple of days in central Paris onto our trip as it's been quite a while since we've been away together just us two. We've both been to Paris quite a few times, but we haven't been together for nearly 5 years so I am really excited! We've got just under 48 hours in the city, and as we've already seen most of the big sights I think that will be plenty of time. I spent this weekend doing lots of research and pulled together this little Parisian bucket list. Let me know if there's anything else I absolutely HAVE to add to the list - especially bars/cafes/restaurants as eating and drinking is top of our agenda! This was something that Sam and I did when we visited in 2012 and absolutely loved so we've put it on the list again. Bar Hemingway is based in the Ritz Hotel and is absolutely beautiful, it feels like such a treat to visit. The drinks are expensive but they're really good and the venue alone is worth the money! The view from the Sacre Couer is my favourite in Paris, and as we're staying just around the corner it would be a shame to miss it. I'm hoping that we can head up early on the Sunday morning and watch the city come alive in front of us. 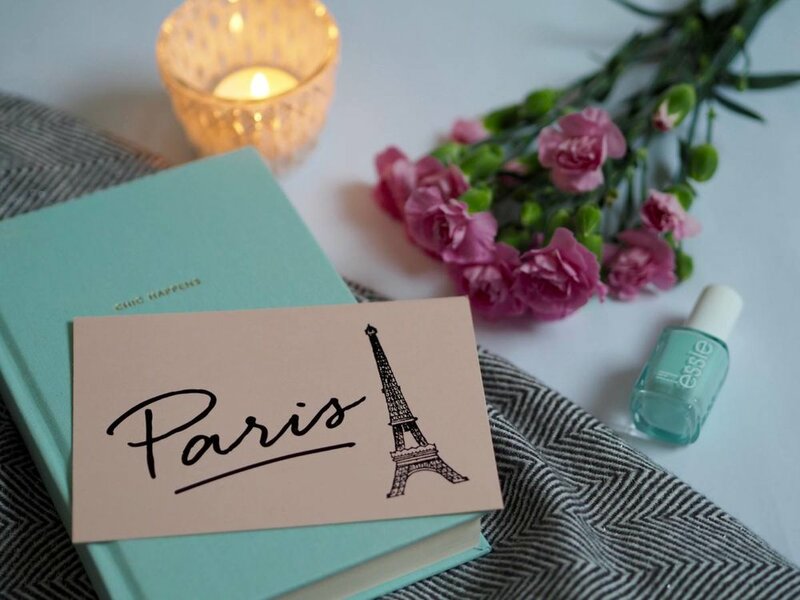 I'm very excited that Sephora is going to be coming to the UK, but in the meantime I'll be stocking up on some of my favourite beauty bits while we're in Paris! I'm particularly looking forward to checking out all of their Christmas goodies and hopefully I'll be able to get some gifts sorted too. Shakespeare and Company is my second favourite bookshop in the world (number 1 is The Strand in New York - best place ever) and I'm really looking forward to having a little nosey around and maybe (definitely) picking up a couple of books. It's such a beautiful shop and my inner literary nerd always gets so excited that Hemingway and Fitzgerald used to hang out there. This is something that I've always wanted to do but have never got round to! I've heard that the chocolat chaud at Angelina is some of the best in the world so I'm looking forward to warming up with a cup (and maybe enjoying a macaron on the side!). One of my favourite things to do in any city is to wander aimlessly and take in all of the pretty sights, and there's nowhere more gorgeous to do that than Paris. I've never visited before in autumn so I'm hoping that the changing leaves will make the city look even prettier than usual. No trip to Paris would be complete without a plate of steak frites and a glass of red wine, would it?! My favourite place to enjoy it is at Le relais de l'entrecote but maybe we'll branch out and try somewhere new - any suggestions? Oooooh, writing this post has made me so excited - I don't think I've ever been so ready for a trip before!